Kandy is successful, loving, loyal to a fault, and a very hard worker. She has created a huge conglomerate of cooking business – books, shows, e-books, etc. Not only does she have a very successful business, but she's taken her family along with her. Josh is a hired bodyguard. He normally doesn't do person-on-person, but when the call came in, he was intrigued. He is considerate, cares, and loves how much Kandy cares and loves her employees. There are a lot of mishaps, strange stalkerish behavior, and scares for Kandy and her family. Josh works tirelessly to figure out what is going on and who is trying to hurt Kandy and her business. This is a cute story where family comes first, love conquers the scary, and the good always wins. I can't wait to see what happens in book two. I really enjoyed this book and am delighted that it is the start of a new series; there are, after all, plenty of side characters who could do with a happily ever after too! Kandy is a human dynamo sweeping along everyone in her wake. This includes giving her family members good jobs working with her on her show, books, etc., and avoiding situations where she must cede control. Having seen what her father's departure did to her mother, she is most definitely not interested in love. Enter Josh, PI and security detail, employed by her cousin/assistant following series of unpleasant events. And I have to say this plot was done really rather well – with sufficient false leads to make it a bit of a mystery. Now Josh is not a man to mix business with pleasure, so they should be perfectly safe from each other... but of course that pesky chemistry just won't leave them alone! The layers in this book work well: peeling away her fears and rationale; uncovering the perpetrator of the threats; delving into family dynamics and loyalties; and the romance. A very promising start to this new series, thank you Ms. Jaeger. Peggy holds a master’s degree in nursing administration and geriatric psychology and first found publication with several articles she authored on Alzheimer’s disease during her time running an Alzheimer’s in-patient care unit during the 1990s. 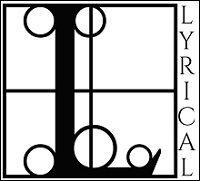 A lifelong and avid romance reader and writer, she is a member of RWA and her local New Hampshire RWA Chapter, where she is the 2016 Chapter Secretary. 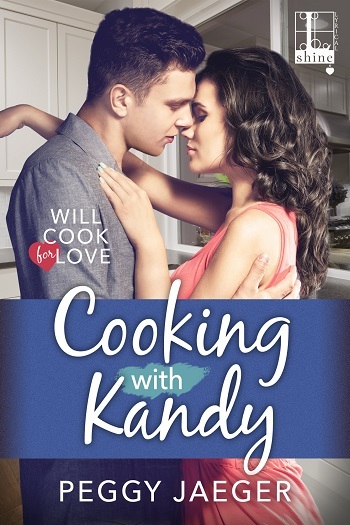 Reviewers on the Wicked Reads Review Team were provided a free copy of Cooking with Kandy (Will Cook for Love #1) by Peggy Jaeger to read and review.